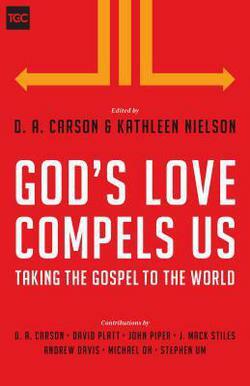 God’s Love Compels Us: Taking the Gospel to the Whole World, edited by D.A. Carson is a series of talks that were presented at pre-conference which was sponsored by the Gospel Coalition in 2013. Contributors include David Platt, John Piper, J. Jack Stiles, Andrew Davis, Michael Oh, Stephen Um, and D.A. Carson. The subjects of the talks focus on world missions. Carson presents the case for world missions and Platt helps readers understand why the Great Commission is so great. But our sovereign God has given us a specific goal, and it is crystal clear: he has commanded his people to make disciples of all peoples – all the ethne of the world. And he has given us a promise: his very presence and power of his Spirit to accomplish his purpose. Believe the gospel with deep-seated conviction and proclaim it with death-defying confidence. Live to extend God’s grace among more people and long to exalt God’s glory among all peoples. Continually envision eternal glory with God and joyfully embrace earthly suffering from God. Platt educates, motivates, encourages, and challenges. My advice: Buy the book, soak in the truth, and get in the battle by telling people about the Savior! The Pastor as Scholar and the Scholar as Pastor: Reflections on Life and Ministry is a vivid reminder why John Piper and D.A. Carson have had such a powerful influence on my life and pastoral ministry. Far too often, men who enter into pastoral ministry do so with an either-or mentality. Since they have chosen to devote their lives to the pastorate, they unwittingly embrace a false dichotomy, the erroneous notion that pastors only shepherd the people of God. As a result, the life of scholarship is marginalized or eliminated all-together. John Piper and D.A. Carson set this false dichotomy (and I might add – this godless dichotomy) ablaze and argue that “pastor” and “scholar” should not only be uttered in the same sentence; they belong together. Dr. John Piper summarizes his journey as a pastor-scholar in two parts. In part one, he gives readers an insider look on his pilgrimage. He explores his life as a child, high school days, and his time at Wheaton College. God’s Providential designs become apparent as Piper unpacks different experiences that have contributed to his love for pastoral ministry and a life of scholarship. Especially noteworthy, are some of the early influences in Piper’s life – men like Arthur Holmes, Francis Schaeffer, Jonathan Edwards, and Daniel Fuller who marked John Piper in a way that continue to influence him to this day. An unstated but crucial lesson emerges for pastor/scholars: be careful who you read and be careful who influences your life – they will mark you for good or for bad! Piper continues to explore the factors that contributed to his love for pastoral ministry and scholarship, namely, synthesis (a blending of the mind and heart that was spurred on and encouraged by the writing of C.S. Lewis), and a series of pivotal events that include his seminary training, doctoral studies at the University of Munich, teaching at Bethel College, and pastoral ministry at Bethlehem Church in Minneapolis, Minnesota. Part two discusses the scholarly roots of Christ-exalting joy. Piper rightly argues, “Right thinking about God exists to serve right feelings for God. Logic exists for the sake of love. Reasoning exists for the sake of rejoicing. Doctrine exists for the sake of delight. Reflection about God exists for the sake of affection for God. The head is meant to serve the heart.” In one swoop and in typical Edwardsean fashion, the author demolishes the erroneous dichotomy between head and heart. In the final analysis, Piper clearly demonstrates that “God’s purpose for right thinking (scholarship) is to awaken and sustain satisfaction in God that glorifies him.” The remainder of the chapter clarifies this point and bolsters his well-known worldview he refers to as Christian hedonism. Dr. D.A. Carson beautifully blends his love for pastoral ministry and scholarship in a series of short arguments. Like Piper, he shares his journey and the “providential twists” that have contributed to his life as a scholar. Most helpful are the lessons that Carson sets forth for the scholar as pastor. He encourages scholars to guard against an ivory tower mentality. 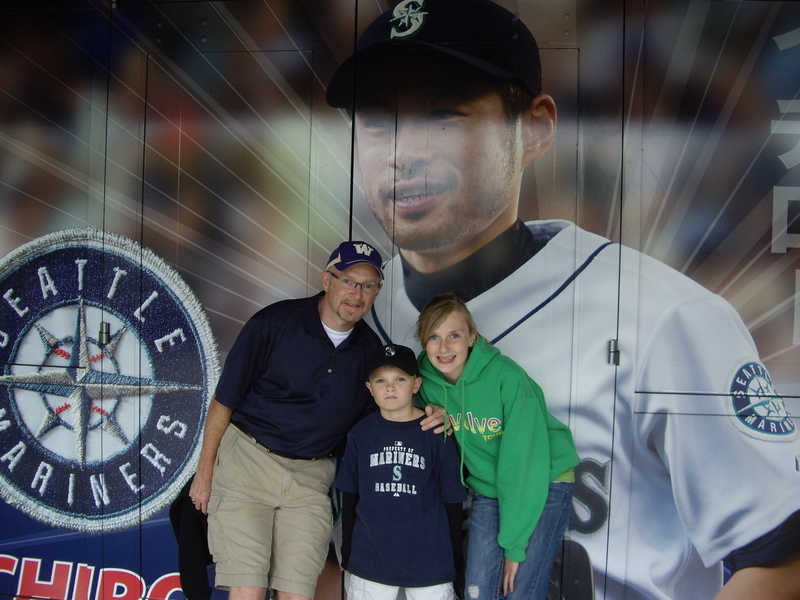 As such, the encouragement includes immersion in the real world. Carson encourages scholars to steer clear from the deadly “seduction of applause” which may come from publishing house and wide readership as well as a close circle of friends. And the author encourages scholars to fight what he calls a “common disjunction” between the “objective study of Scripture and devotional reading.” Of course, he encourages scholars to critically engage with the text, but he also encourages meaningful times of devotion. Scholars must tremble before God’s Word (Isa. 66:2). In a fitting conclusion, David Mathis points readers to Jesus, the supreme example of a pastor-scholar: “Jesus, the God-man, is the ultimate model of engaging both heart and head, not compromising either for the other.” This indeed is the aim of the editors, namely, for scholarship and pastoral ministry to point to Jesus and his gospel. The Pastor as Scholar and the Scholar as Pastor is a refreshing and liberating book, especially for any pastor who takes scholarship seriously. For pastors who have grown weary of scholarship and have pushed the hard work of exegesis to the margins of their ministry – this book will be a challenging, yet helpful antidote that will benefit not only the pastor, but the people he is called to shepherd. Don Carson writes good books. His new book, Scandalous is no exception. The essays in Scandalous are the fruit of Carson’s work at the 2008 Resurgence conference at Mars Hill in Seattle. Carson recounts the story of the cross of Christ and his resurrection with the clarity and insightfulness that we have grown to expect from him. The author zero’s in on the ironies of the cross. Carson beautifully captures the subtle realities that emerge as Christ approaches the cross and dies for sinners. Everyday realities are seen and evaluated in the shadow of the cross; grieving sinners, stinky corpses, and crushed dreams. Carson weaves through narratives and reflects on the hope that emerges in a suffering Savior and resurrected Savior. Carson skillfully unpacks crucial doctrines that pertain to the cross of Christ, drawing the reader closer to a better understanding of the gospel. I recommend Scandalous to new and veteran Christians alike.